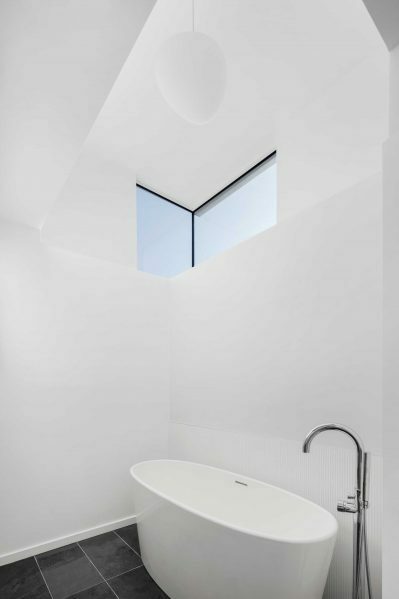 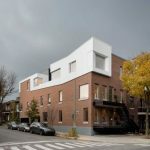 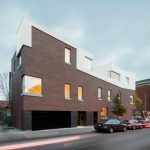 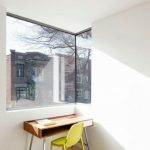 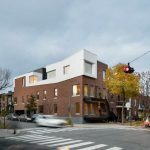 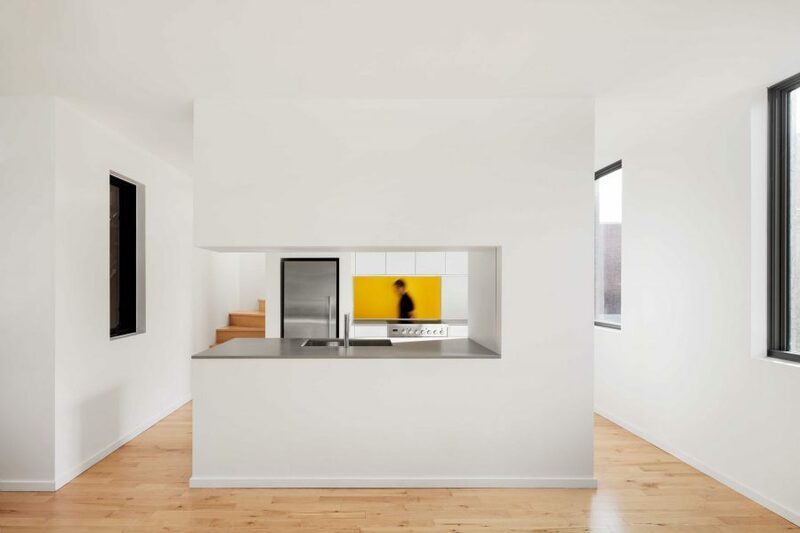 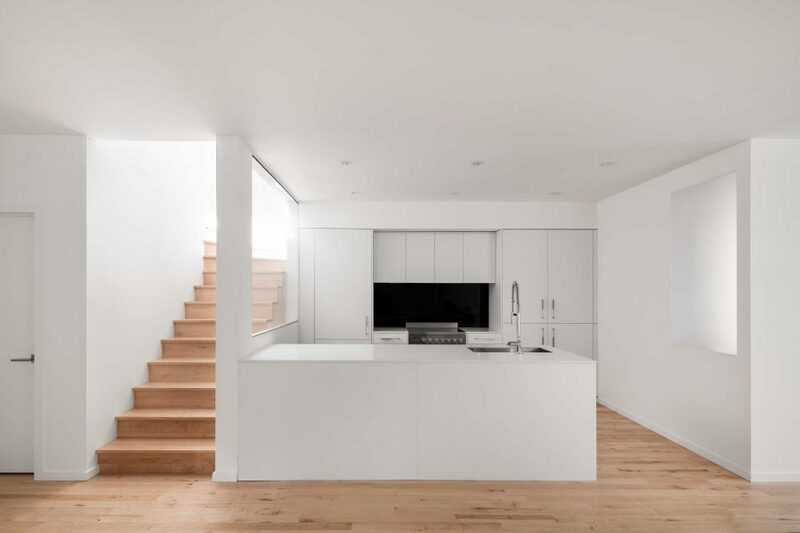 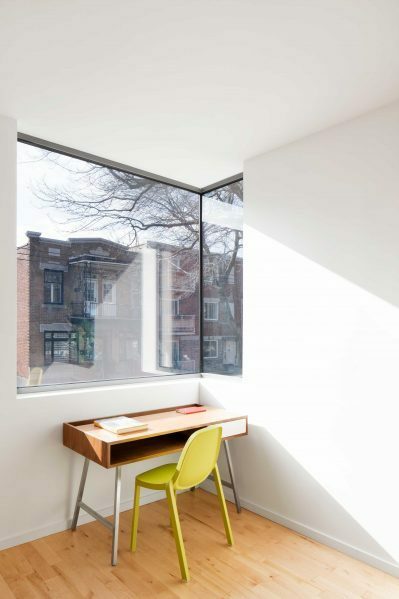 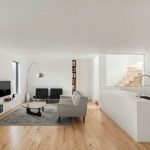 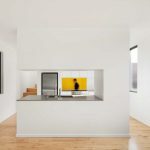 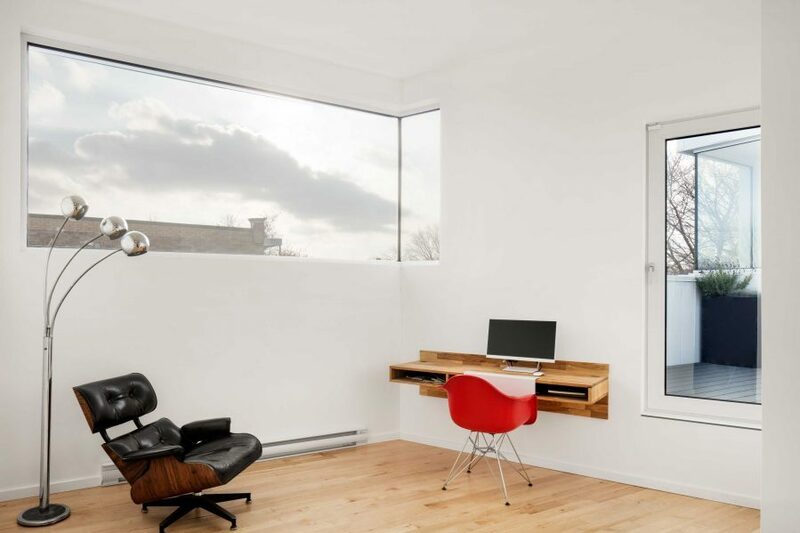 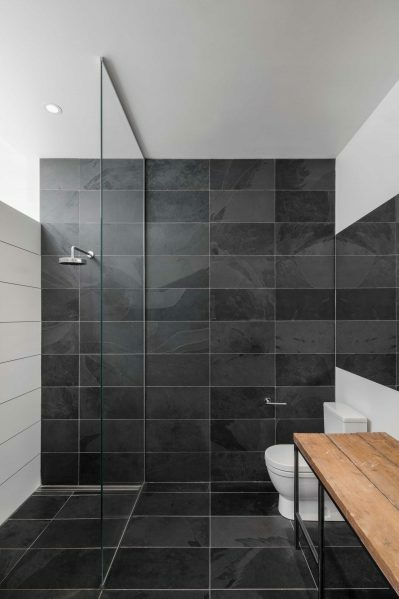 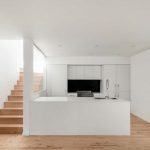 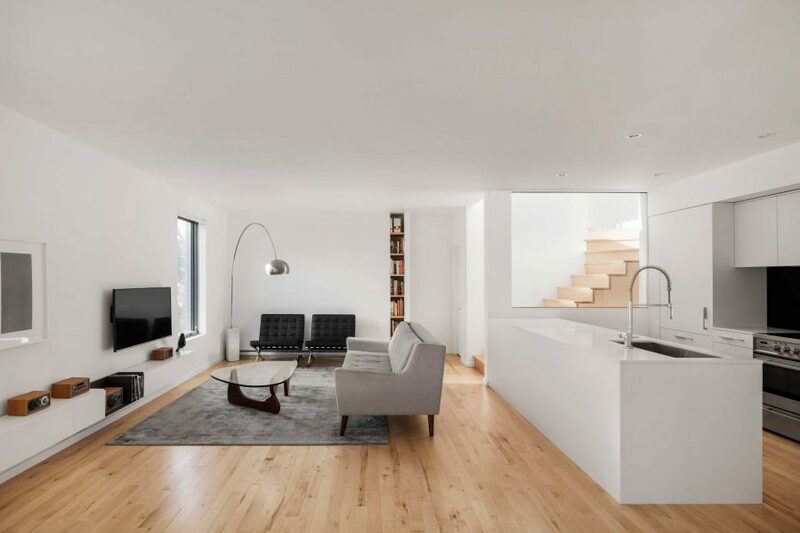 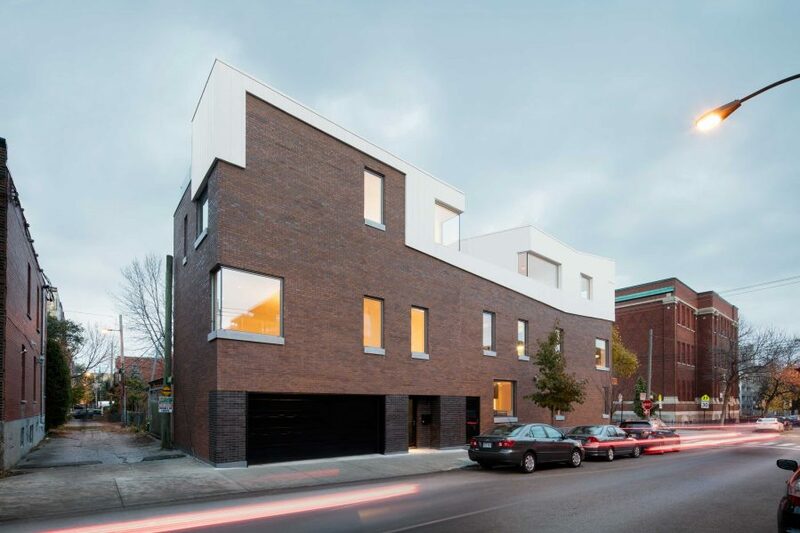 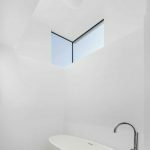 Carried out in a residential area of the Rosemont–La-Petite-Patrie borough in Montreal, architecture and interior design studio _naturehumaine renovated and expanded a duplex built in the 1920s that housed three dwelling units. 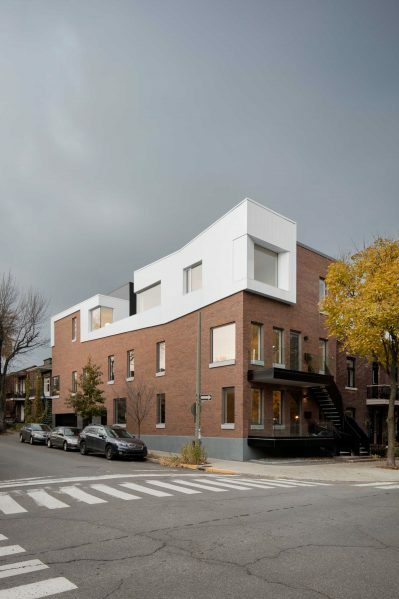 The added storey harmonized the building with the size of the surrounding constructions. 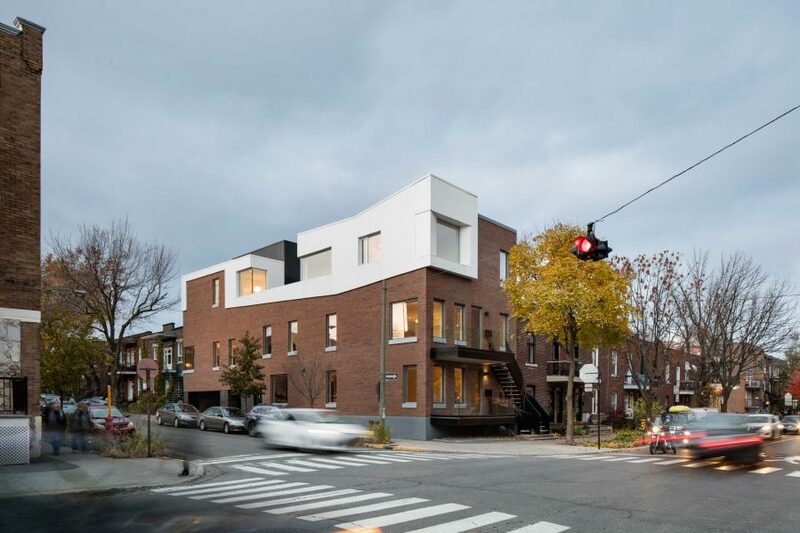 The intervention was minimal on Dandurand Street, rather extending along the perpendicular street. 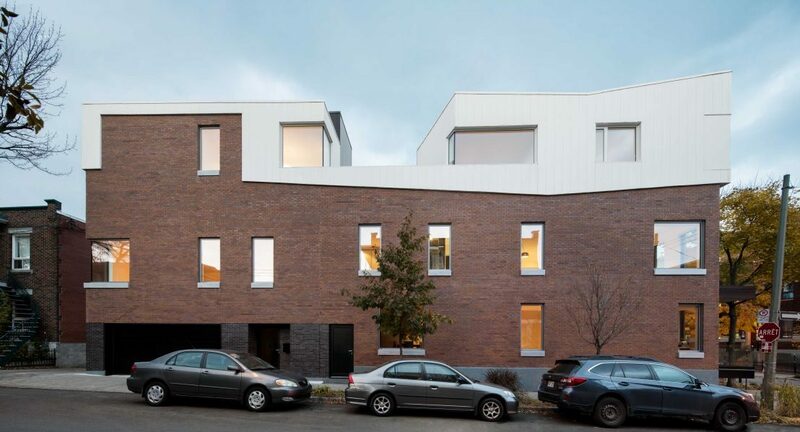 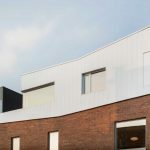 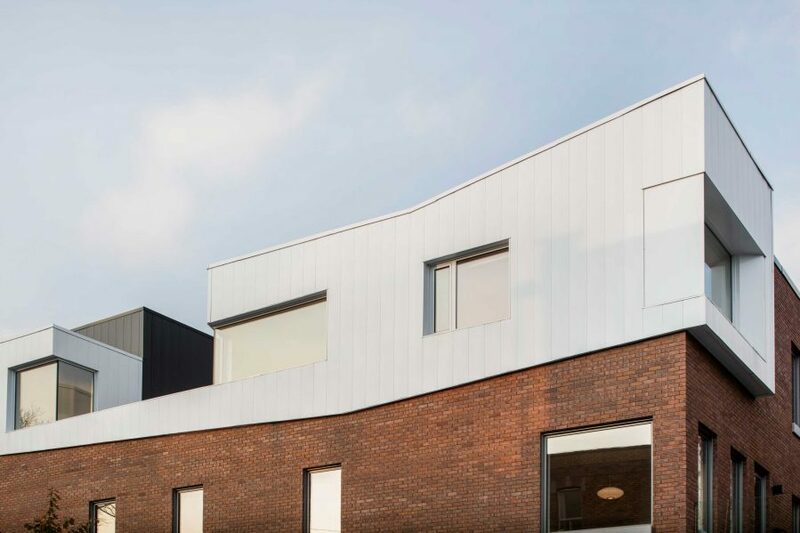 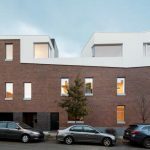 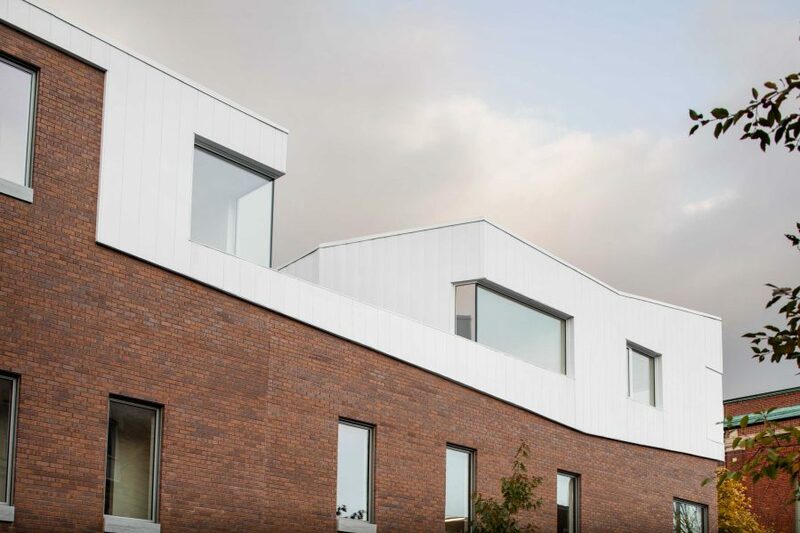 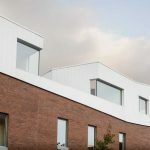 In the existing section, the brick was replaced, but the original openings were mostly retained, while large angled windows were built on the addition, multiplying the views on the urban landscape. 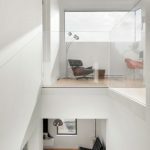 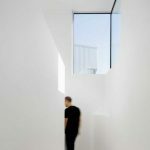 The glass and white steel volume that was added on top of the first two levels stands out through its angular shape and materials. 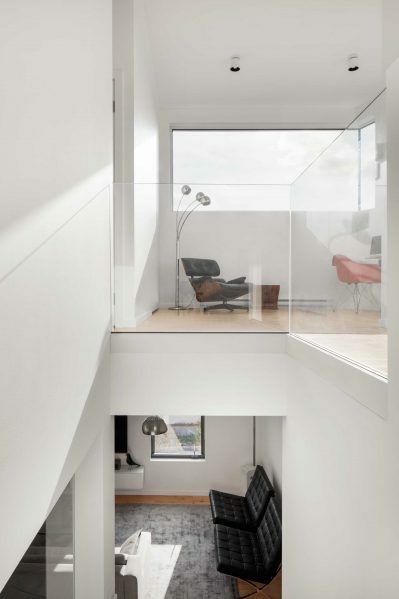 On each level, spacious decks equipped with glass railings lighten volume perception. 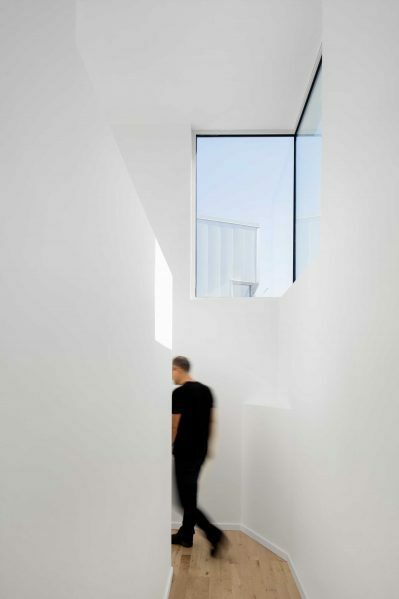 A shared deck was inserted into a breach made in the volume, which also captures light.